This has been a sell now for almost a year. All it has done is go sideways in some pattern that again looks like a triangle. 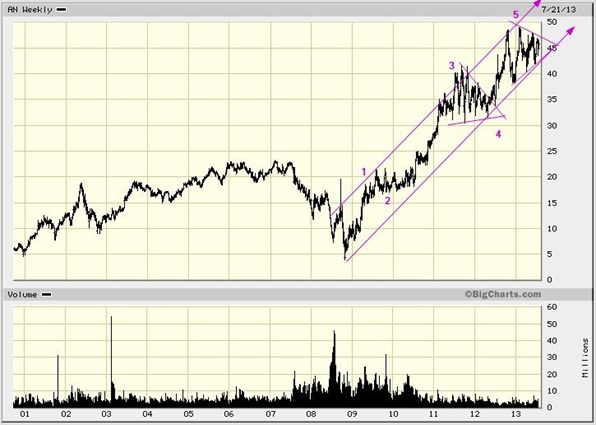 This is possible if wave 3 extended and the earlier triangle was wave 4 of 3, not wave 4 of the entire sequence. If this is indeed the case the stock could target about $57. We do not believe it. Use a tight stop at about $42 if long.